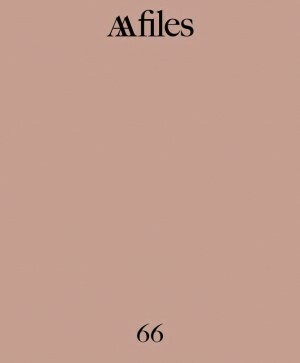 AA Files 66 features contributions by Irénée Scalbert, Hilla Becher, Thomas Weaver, Mathew Holmes, Tom Brooks, Helen Thomas, Mathew Aitchison, Ludwig Mies van der Rohe, Mathew Critchley, HT Cadbury-Brown, Pedro Ignacio Alonso, Joshua Mardell, Adrian Forty, Ilaria Abbondandolo, Moshe Safdie, Ryan Dillon, William Firebrace, Laurent Stalder and Mark Campbell. London, 2013, 29.5 x 24.5 cm, illustrated, 156pp. Paperback.